Long renowned for producing some of the world’s most eminent scholars and award-winning thought-leaders, India is today at the forefront of a global education revolution and leads the way in advances in learning and education development. The country can once again boast of some of the most prestigious and lauded educational institutions, which are on par with the finest higher learning establishments in the world. To showcase India’s prowess as a global-leader in education attainment as well as to demonstrate the country’s vast potential as a hub of learning and development, SkillTree Knowledge Consortium, India’s first syndicate of private universities and institutions in the country, in association with international communications and brand consultancy Sterling Media, will launch a unique initiative titled ‘SkillTree Great Place To Study – India Edition’, powered by Lavasa Corporation Limited, a subsidiary of HCC (Hindustan Construction Company). An organisation engaged in higher education advisory and consultation, spreading knowledge and sharing ideas through research and publication, SkillTree Knowledge Consortium now aims to use its expertise to draw global attention to India’s thriving educational sector, while also talk about the improvements it needs to draw more students globally. Set to take place on Tuesday 24th June 2014, the event marks the first international education convocation of its kind in London to profile some of India’s most established and respected educational institutions. The aim is to position the selected Indian colleges and universities as proven leaders on a global platform, and to cement India’s position as an educational destination of choice by the global student fraternity. The high-profile gathering will see senior representatives from over 20 of India’s most prominent colleges interacting with esteemed UK public personalities, business leaders and lynchpins from the education sector. The programme will commence at the world-famous House of Commons with a presentation of certificates to 20 of India’s top educational institutions, hosted by Mr Bob Blackman, MP. Mr Blackman is the Conservative MP for Harrow East and a member of the Communities and Local Government Select Committee as well as the Backbench Business Committee. Since being elected as MP for Harrow East in 2010, Mr Blackman has been able to bring his extensive experience in Local Government to bear on many of the issues facing the Government today. He has also taken a lead role in providing a platform for British Hindus to engage with Parliament as Chair of the All Party Parliamentary Group of British Hindus, securing compensation for Equitable Life policyholders, as well as championing the fight against smoking. The certificate presentation will be followed by a gala dinner at London’s iconic Madame Tussauds, and will feature an awards presentation and entertainment programme to honour some of India’s most esteemed educational institutions. Attendees will experience first-hand the Indian education success story, a benchmark for international standards, led by some of the country’s oldest colleges. To promote bilateral trade relations between the UK and India, awards will also be given to select eminent businessmen and education leaders from the UK. Keynote speeches will be delivered at the event discussing India as a growing destination for research and development, Indian higher education in the global knowledge economy, and India and the UK’s relationship for higher education. Mr. Shekhar A. Bhattacharjee, Founder, SkillTree Knowledge Consortium says: “India’s higher education system has witnessed tremendous growth in recent times. The teaching techniques and the quality of learning have been transformed and taken to new heights .It has become the most congenial environment to global students, boosting the potential to grow “. “Skilltree Great Place to Study is an international academic auditing and research wing that studies, recognizes and creates great institutions of international standard. 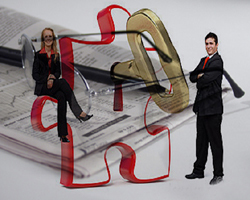 It is a biannual recognition and India’s only international award and felicitation platform. We have a thorough scrutinizing process of rigorous research and auditing, & a dedicated jury that goes about its task scrupulously. To ensure that the credibility of the process is not compromised, there are also in place high-end transparent benchmarks for the selection of institutions. Our objective is to highlight institutions that offer excellent world class education. On June 24, we have our first certification ceremony at the House of Commons, London,” elaborates Mr Bhattacharjee, on the aims and aspirations of ‘Great Place to Study’. The event is supported by Lavasa Corporation Limited, which is currently working on the creation of the first of India’s 100 new cities. Mr. Nathan Andrews, President and CEO of Lavasa Corporation Ltd explains, “In ancient times, India was recognized as a leading centre for education in the world. However, over a period of time, the country lost its pivotal position in this field. Today, a number of favourable factors are once again at play, which will propel India to the position of a global education hub. One of the many endeavors to promote higher education is taking shape at Lavasa, the first of India’s 100 new cities. Being developed as a premiere education hub, the city is slated to host 50,000 students across the many education institutes based here. ‘SkillTree Great Place To Study’ is an excellent platform for promoting Indian education institutes, which are growing in stature, and to showcase what India has to offer in the education space. Hence we decided to support this pioneering initiative”. 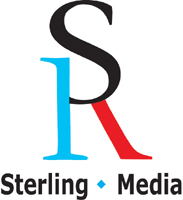 The event is being organised in association with the international brand consultancy Sterling Media. Natasha Mudhar, CEO & MD of Sterling Media, commented: “All of us at Sterling are delighted to be partnering with SkillTree for such a worthy event. SkillTree Great Place to Study will enhance the reputation of some of India’s most distinguished educational institutions across the globe. The importance of having access to a good education is something that cannot be overemphasised. Attracting the best and the brightest to India will support this cause by enriching the academic environment, enhancing quality and bringing in new resources to the community.